This case raises a number of interesting questions about how mistake of law factors into the sentencing process, and whether the reduced moral culpability should give rise to a lesser sentence. Those will be decided by the Supreme Court of Canada in this case, but the applicability of the case to the upcoming implementation of random breath testing is very interesting. Random breath testing will do away with a constitutional safeguard that has been in place for thirty years: the requirement that police have grounds to suspect a person has alcohol in their body before asking them to provide a breath sample. The criminal consequences of a refusal to blow charge are the same as upon conviction for impaired driving. The mandatory minimum penalty is a one-year driving prohibition and a $1000 fine. Plus a criminal record. At one time in Canada, there was no criminal offence for refusing to blow in a situation involving a death or bodily harm. The penalties for refusal were the same as a conviction for impaired driving or being in excess of 80mg% without a death or bodily harm. And so while lawyers could not advise clients to refuse to blow, savvy defence counsel would explain the law, and the consequences of violations of the various laws, and leave it to the alleged driver to decide what to do. You can imagine what a smart person listening to that information would do. They would do the same thing that Mr. Suter did. The Government recognized the flaw here, and closed the loophole. They created an offence of refusing to blow in a circumstance involving a death or bodily harm. This offence carried the same potential consequences as the impaired driving or blood alcohol charges involving death or bodily harm. But there was, as is evidenced in Mr. Suter’s case, a period of growing pains. Some defence counsel did not stay on top of this change in the law, and inaccurate legal information was given in some cases. Defendants, like Mr. Suter, relied on inaccurate legal information in deciding what to do and then faced serious consequences they may not otherwise have faced. It is inevitable that the same type of inaccurate or uninformed legal advice will be given involving random breath testing. While there is no right to counsel during the approved screening device testing process, as a practical matter some police officers will permit a driver to call a lawyer anyway. I also know that as a defence lawyer dealing with impaired driving cases, one of the most common questions I am asked is whether a person has a right to refuse a breath test. Where previously a refusal would be justified — and in fact would not be a refusal in law — if the demand was not predicated on a reasonable suspicion, that is not so after the implementation of Bill C-46 on October 17, 2018. And the result will be that people will rely on the old state of the law in refusing to provide a sample. The old state of the law would provide a defence. The new state of the law does not. A refusal charge then could lead to a conviction and significant penalties, including a mandatory criminal record. However, the decision in Suter has the potential to impact that. 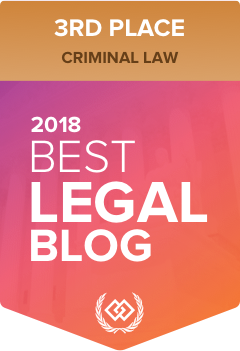 If it is the case that a mistake of law can operate to mitigate on sentence, and if it is the case that a mistake of law can result in a lesser sentence than would ordinarily be imposed, there may be an argument in refusal cases under Bill C-46. The argument would require the accused to testify or provide some evidence to show that he or she relied on the previous state of the law or inaccurate legal advice. Then, because the Supreme Court of Canada has already held that approved screening device testing violates the right to call a lawyer, the accused would have to then argue the breach of the right to counsel implicit in the demand, coupled with the reliance on the previous state of the law, should result in a Section 10(b) violation with a remedy under Section 24(1) of the Charter. This section of the Charter permits a judge to grant any remedy that is just and appropriate in the circumstances, including in some cases a sentence that is less than the mandatory minimums. By taking this approach, some fairness may be restored into the roadside breath testing provisions, and the courts may find a way to ease the inevitable problem of increased refusal to blow charges under the new legislation. But all this will depend on what the Supreme Court of Canada says in the Suter case tomorrow. Which is why it is such an important judgment.